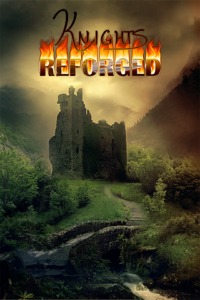 Knights Reforged is an MMORPG where you level up, build an army, and compete with other players to rule the land. Build your empire and compete with other players, while you forge yourself a complex economy of income from your land and gold through questing and battles. New weapons, spells, armors and land unlock as you level up. You won’t get anything done alone though- recruit people into your army for a better chance at success in battle. Keep pushing to be one of the top players in the game, and dominate your enemies. Team up with other players, or go to war – the choice is yours! Disclaimer: Not all ideas listed may make it into the game for various reasons. List is in no particular order. List is not exhaustive and new ideas may be added at any time.